Discussion in 'VAIO / Sony' started by nebage, Sep 27, 2011. Hi, I have a problem with my asus zenbook ux31a. A friend of mine replaced a faulty power jack for me. After that while assembling the laptop I connected the LCD strip with the battery plugged in. I've heard some cracking noise and now backlight is gone. I showed the laptop to two different "laptop repair specialists", but it turned out they're not really that good. One told me that there's something wrong with the motherboard, but he doesnt know what (he checked all the fuses he said). The other said the led backlight is faulty and I have to replace the whole upper lid. Is damaged baclight itself possible in my case? Or it's rather the motherboard? Another interesting thing is that the laptop doesnt do anything after I close the lid, eventhough I set up in win10 that it should hibernate after lid closing. So it got my suspicious about the reed sensor. But the keyboard is working fine. Faulty reed sensor would block backlight and the keyboard, right? Also I can't power up the laptop normally. Every time after shut down I have to disconnect the battery, reconnect it and then plug in the ac adapter, then it starts automatically without even pressing the power button. Befor that unfortunate laptop assembly everything was working fine. Looks like faulty U4501? Anyone knows correct values for pins 13 and 14? of seeing the motherboard of my Vaio coming by, but no luck. Therefore I am writing this post. forgot to take out the battery. Now the backlight does not function any more. 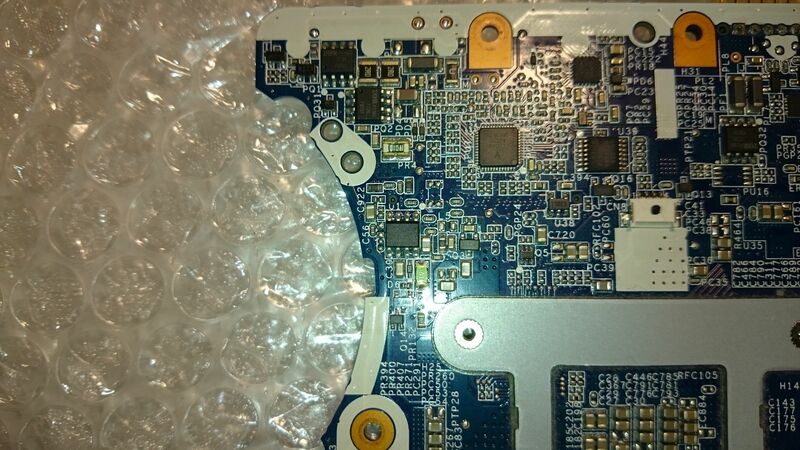 So the model name is PCG-81313m, the product name is VPCF24P1E. 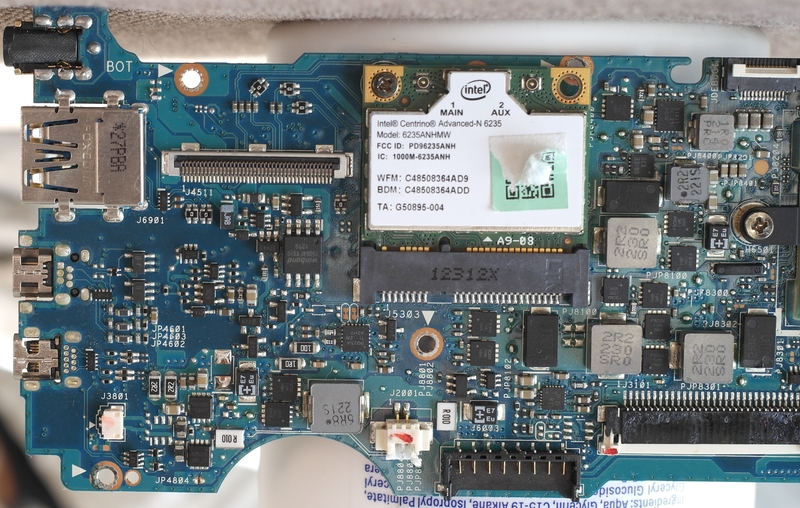 Mainboard is the MBX-243 V081-MP_MB Rev 1.1. It has a 16,4" Full HD LED screen. The screen has a 40 pin connector, but no separate backlight connector. where it connects to those 2 plug-ins. Here a picture of the connector area. And a picture of the backside. Red are the connector area's on the other side. I did not paint over any writings or diode's/fuse's. Here also a picture of the backside of the screen, and the connector area on the screen. I noticed there is also a small fuse on the screen, so included this picture to be sure. Is there anybody who could guide me to the solution, by pointing out the possible fuses? Do you know how to check continuity in fuses with a multimeter? Check P02 and similar fuses on the motherboard. on the lcd check the white ones, look like fuses to me. please help for my problem plz? please can you help me to find the fuse? You can get a multimeter and start testing all fuse and little smd resistances, specially around screen plug on mother board. Check continuity on both poles (sides), if you get continuity fuse is right, if there is no then bingo. Sorry to SVE14 owners. I was a little busy. The fuse I found is on other side of LCD connector marked by letter "S"
It is in the middle of red circle in attached picture. Hi there. Thank You guys for all the useful information in this topic! I have a problem with the backlight in my old VAIO SVE14A1S6EW and thanks to your knowledge i am close to solve it. The place at mobo where the LED fuse is supposed to looks slightly different from the one posted a few years ago. Probably different rev. The elements are arranged in different order. Could you please help me with identifying correct fuse to bridge here? Is it "S" ? EDIT: Tried with the "s" one, and backlight is back. Info just in case anyone needs it in the future. could someone help me with mbx-206 motherboard (sony vpcz1). Where is backlight fuse on it? I cant find schematics for mbx-206 anywhere. Thanks for help. I've tried to jump start 'S' fuse (in the pic from url on the left), but it didn't work (maybe was doing it wrong), and since there is no backlight nor display detected in windows this might be just and issue of the LCD cable. Do you guys have any suggestions or any possible solutions? So I purchased a defective Vaio Pro 13, which would not display anything on the screen, however the HDMI output works. I purchased a whole new screen assembly in the hopes that it would work, however still nothing. I took a flashlight and found that it was the backlight which was dead. I know how to solder, and have no problems with a multimeter, however I have never fixed a backlight fuse before, and I have no idea where the fuse is positioned. 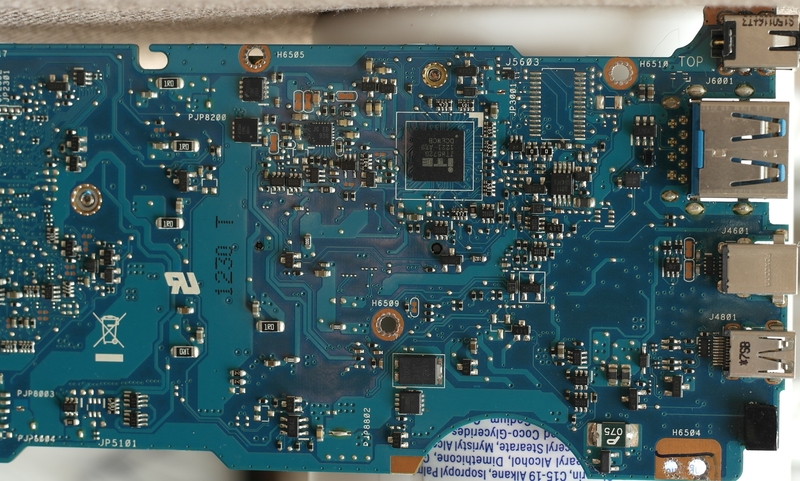 I took a picture of the display connector and the area around it, does anyone know where the fuse is? And could I just remove the fuse and solder between the pads to short it, to make it work? It's been long time checking this forum. Sorry for late answers. @jacobtc, the fuse is a little one with letter S on it. You can bridge it or remove and short 2 pads are which ever best for you. Hey guys, I have the same problem - blown display fuse on SVP132 (tested it with my multimeter). I'd like to order a new fuse but I don't know how it's called! Would you kindly let me know what I should be looking for (like fuse type and it's voltage or amperes) because I already spent hours googling with no result. I can't even get close to it and my "local" electronic store won't read local forum, I have to do 2 hour drive to get there. Can I fix this backlight problem?